(CNN) — The world’s getting hotter, the sea’s rising and there’s increasing evidence neither are naturally occurring phenomena. 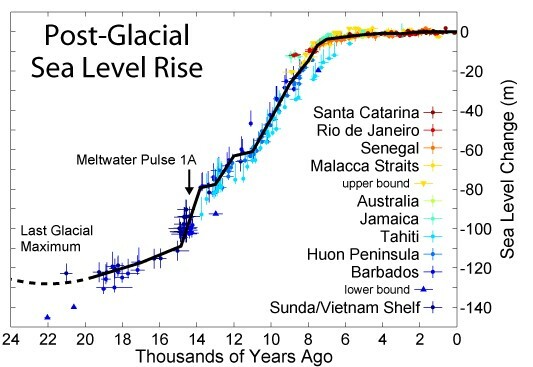 Sea level has risen 120 metres over the last 20,000 years, and the UN says it is all your fault. Probably something to do with Fred Flintstone’s car. 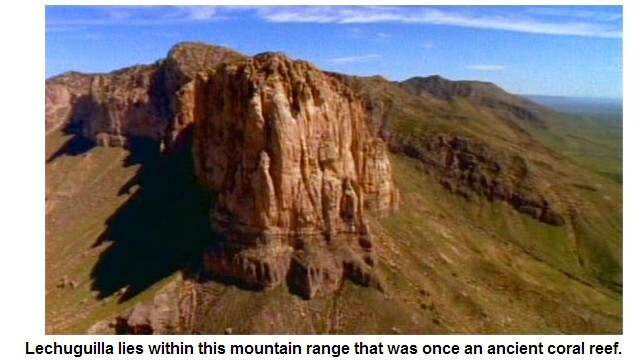 So the “experts” in 2007 (AR4) were 90% sure human’s were causing climate change (aka global warming). Now with a further six years of zero surface warming totalling ~15 years, the “experts” are now 95% certain that human’s are causing climate change/global warming or whatever they now call it. Realistically, they were never going to be ‘less’ confident. That wouldn’t fit the political MO of the IPCC, who’s job after all, is to find and prosecute only the human influence on climate. Politics still far more important than the science for the United Nations’ IPCC bureaucrats. This is a bullet point collection of reactions as they come in, it will be updated throughout the day by adding new items to the list. It is also a sticky post – new stories will appear below this one. My first reaction was: That IPCC had a golden opportunity, and blew it due to being unable to adapt to reality. Climatism comment : IPCC could fix Northern and Global Warming ‘crisis’ in one small meeting in Stockholm tonight by restoring stolen temperature data. A sad indictment on society and science that such a simple climate ‘fix’ is possible. But of course, as with the 17 year “warming pause” denial by warmists and the IPCC, they expressly do not want the climate to ‘fix’ – too many snouts in the climate change trough, too many reputations at stake and too many social(ist) experiments still to conduct. The majority of Northern Hemisphere warming over the last century is man made, and due to data tampering by government scientists. 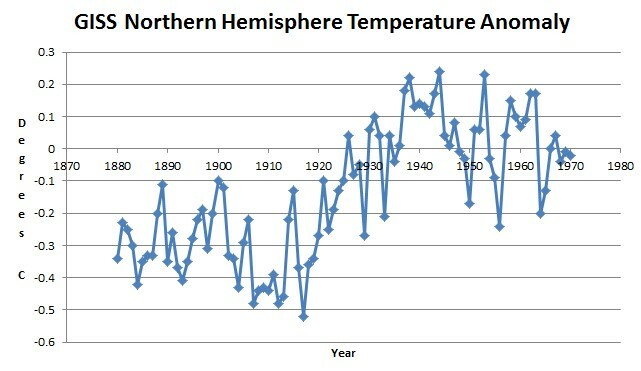 In 1975, the National Academy of Sciences published the graph below, showing a dramatic cooling in the Northern Hemisphere from the 1930s until 1970, with the 1970 temperature about the same as 1910. 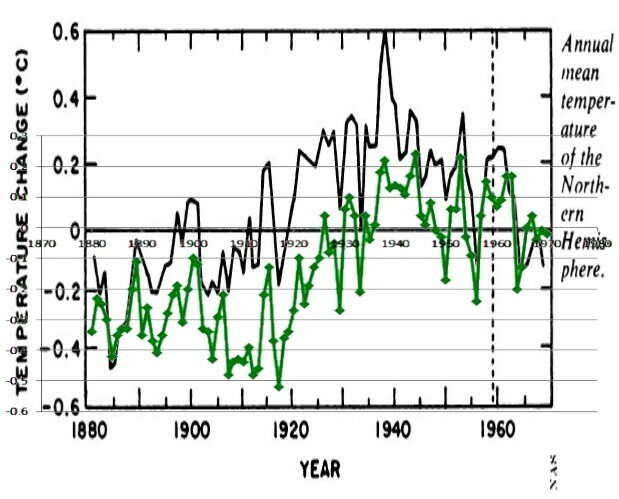 NASA has since erased most of that post-1930s cooling, and made 1910 much cooler than 1970. The next graph overlays the current GISS graph (green) on the 1975 National Academy of Sciences graph. You can see how they massively cooled the period from 1890 to 1970, with the most dramatic data tampering being during the hot years of the 1920s and 1930s. 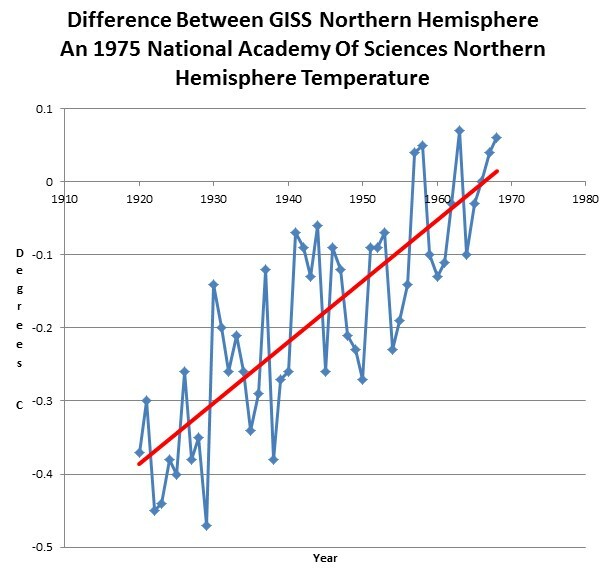 The graph below shows the impressive hockey stick of data tampering done by GISS relative to the original National Academy of Sciences temperatures. Fossil fuels are the key to western civilization. Therefore we have to find something to blame on fossil fuels. The global warming thing turned out to be a total bust, so we made up some other nonsense about climate change and ocean acidification. The most important thing to remember is that progressives are infants permanently tied to the government umbilical cord, and will believe any nonsensical story we come up with, no matter how stupid is. If these people were actual scientists, they would conclude that CO2 alarmism is a thing of the past.